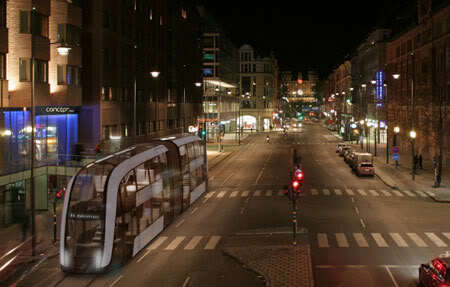 Three designers- Vanessa Sattele, Patrik Pettersson & Fredrik Nilsson presented a unique concept double decker Tram design for a project sponsored by Alstom which required them to design a Tram for Stockholm City for the year 2025. 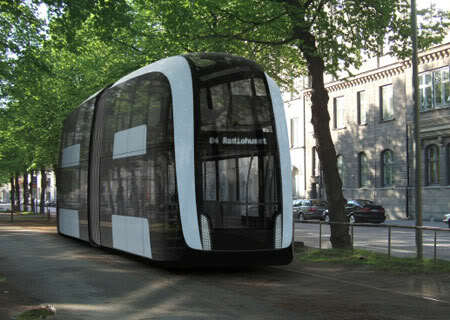 Designed in a Scandinavian way, this Tram is simple, spacious and extremely user friendly. 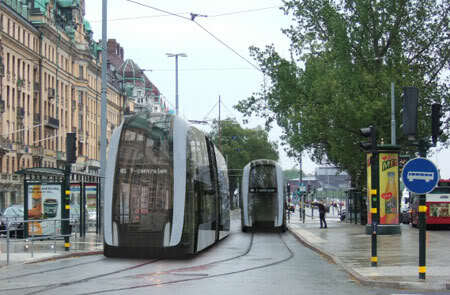 The Tram has been designed to carry 170 passengers, but on a smaller footprint than standard Trams, hence avoiding traffic blockades. 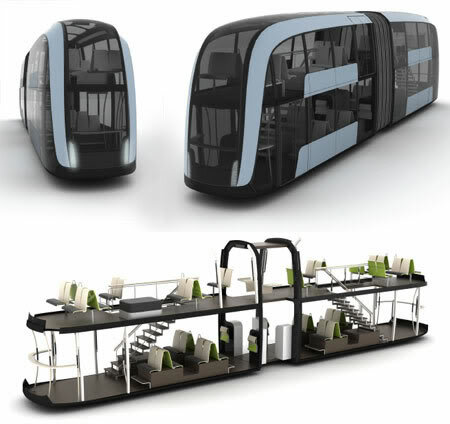 The double decker concept will allow the possibility of having less seats on the street level floor creating a more spacious and accessible area for wheelchairs, prams or lots of luggage. The doors on the second floor will help speed up the flow of exiting and entering the Tram and also offer instant access to big shopping centers directly from the second floor.